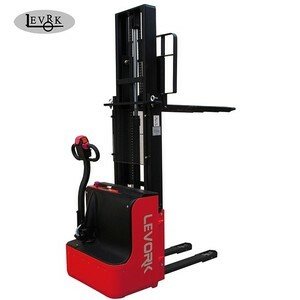 Hangzhou Levork Materials Handling Equipment Co., Ltd.
Shanghai Dao Miao Industrial Co., Ltd.
Specafications: Max capacity:2000KG,2500KG lower fork height:&le;85MM Total lifting height:200MM forks length:1220MM forks width:550MM/685MM truck width:800MM truck length:2280/1920MM slope angle load/unload: 5/10 min rovolving radium: 1750mm lifting motor:DC24V/2KW,DC24V/2.2KW Driving motor :DC24V/0.9KW,DC24V/1.2KW Battery:DC12V/210Ah Battery continous working time :8 hpurs self weight:580/600KG Remark: Colour and special speificatron can be made according to the customer's demands. 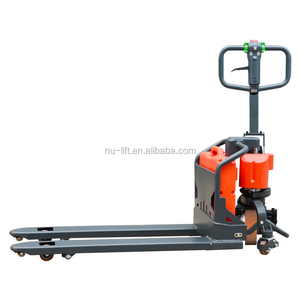 Welift Machinery (Changzhou) Co., Ltd. Manufacturer's type designation SPTE15 PTE15 Power (batter, diesel, petrol gas, manual) Semi Electric Electric Operator type Pedestrian Load capacity/ rated load Q(T) 1.5 1.5 Load centre distance X(MM) 600 600 Load distance, centre of drive axle to fork Y(MM) 947 947 Wheelbase Z(MM) 1270 1270 Weight Service weight KG 165 165 Axle loading, laden front/rear KG 610/1055 610/1055 Axle loading, unladen front/ rear KG 128/37 128/37 Tires, chassis Tires, chassis Polyurethane(PU) Tire size, front diaX W(MM) 230*61 230*61 Tire size, rear diaX W(MM) 80*70 80*70 Additional wheels(dimensions) diaX W(MM) 80*30 80*30 Wheels, number front/rear (x=driven wheels) 1X+2/4 1X+2/4 Tread, front B10(MM) 420 420 Tread, rear B11(MM) 380 380 Dimensions Lift height H3(MM) 115 115 Height of tiller drive position min./max. H14(MM) 840/1260 840/1260 Height, lowered H13(MM) 85 85 Overall length L1(MM) 1650 1650 Length to face of forks L2(MM) 501 501 Overall width B1(MM) 540 540 Fork dimensions S/E/L(MM) 48/160/1150 48/160/1150 Distance between fork-arms B5(MM) 540 540 Ground clearance, centre of wheelbase M2(MM) 37 37 Aisle width for pallets 800*1200 lengways AST(MM) 2120 2120 Turning radius WA(MM) 1450 1450 Performance Travel speed, laden/unladen KM/H 4.4/4.8 4.4/4.8 Lift speed, laden/unladen M/S / 0.032/0.045 Lowering speed, laden/unladen M/S 0.088/0.088 0.03/0.03 Gradeability, laden/unladen % 3.5/20 Service brake Motor Braking+EPB(Optional) Motors Drive motor rating S2 60min KW 0.5 0.5 Lift motor rating at S3 10% KW / 0.8 Battery acc. To DIN 43531/35/36A,B,C, no No Battery voltage, nominal capacity K5 V/AH 48V/20 Battery weight(minmum) KG 30 30 Energy consumption acc:to VDI cycle 0.2 Type of drive control AC speed Control Sound level at driver's ear acc. 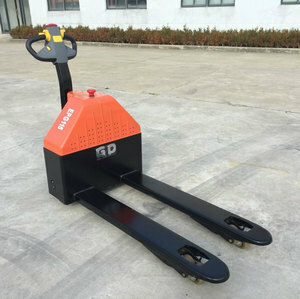 Cooperative clients 2T AC Motor Powered Semi Electric Lift Stacker Pallet Truck BATTERY TYPE Unit Charging Plug-in Item CTY1000 CTY2000 CTY1000 CTY2000 Capacity kg 1000 2000 1000 2000 Max. lifting heihgt mm 1600/2000/2500/3000/3500/4000/4500 Overall length mm 1530 Overall Width mm 800 Lifting speed mm/s 20 Self weight kgs 510 If you are interested in our products or have any questions, welcome to contact us! Guarantee With Trade Assurance, you're covered for : On-time shipment and Pre*shipment product quality(Optional) If the supplier does not meet the requirements in your contrac, will refund your covered amount. Multiple grease fittings at pivoting and wear points make maintenance easy and deliver long component life. The high strength cushioned steel loop handle has a cast iron control lever with lift, neutral, and lowering positions. Square section connecting rods have better bending resistance for increased durability in demanding applications. Adjustable height and angle using the steering wheel, the operator can choose the best driving position. Overload protection Electronic and hydraulic overload protection device to ensure maximum operating safety of the goods. 4. vehicle circuit seal and waterproof design, and a fully enclosed thermal design to ensure circuit reliability and safety. 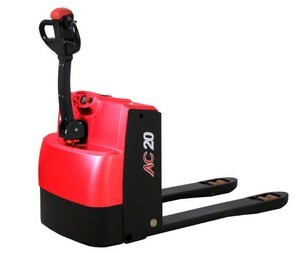 Cheap american curtis motor1.5 ton full electric pallet truck ce Walkie Electric Pallet Truck LEP-15 - Capacity:1500kg, DC power,light-duty conditions - Fit for small work space,double-side pallet can use - Maintenance-free battery/easy replance/inner charger - Replace hand pallet truck, load/unload on vehicles - Low voltage protection, truck will stop if voltage is lower, make truck/battery with long using life - Emergecy stop/hour meter/Battery level indicator For more new product, please send inquiry, get more information. .
[Heavy-duty Construction] HEAMI Electric Pallet Mover is made of high tensile steel, which is resistant to wear and corrosion. 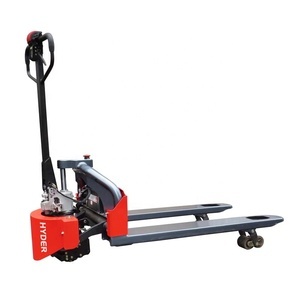 This electric pallet lifter has weight capacity of 1.5/1.8/2/2.5/3T, can be used to lift and transport pallets easy and smoothly. We are quite sure that you will be super-impressed with DURABILITY,HEAVY DUTY and HIGH QUALITY of our electric powered pallet mover lifter. 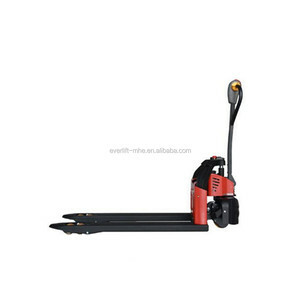 Alibaba.com offers 37,969 electric pallet truck products. About 83% of these are forklifts, 4% are pallet jack, and 1% are stacker & reclaimer. 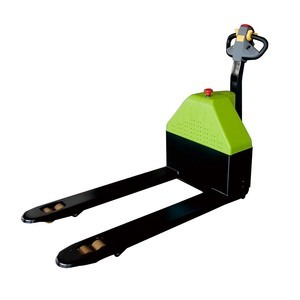 A wide variety of electric pallet truck options are available to you, such as powered pallet truck, manual pallet truck. You can also choose from ac motor, dc motor, and diesel engine. As well as from free samples, paid samples. 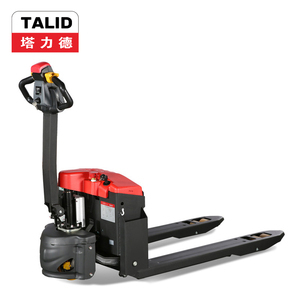 There are 37,723 electric pallet truck suppliers, mainly located in Asia. The top supplying countries are China (Mainland), India, and Taiwan, which supply 98%, 1%, and 1% of electric pallet truck respectively. 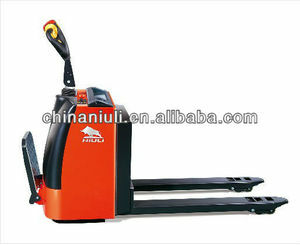 Electric pallet truck products are most popular in South America, Southeast Asia, and Domestic Market. You can ensure product safety by selecting from certified suppliers, including 14,180 with ISO9001, 7,385 with Other, and 731 with SA8000 certification.